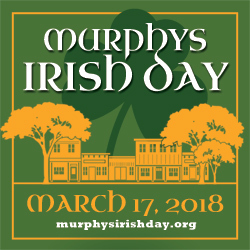 Murphys celebrates it’s Irish Heritage by taking Main Street back from the cars on the third Saturday in March each year. This year that just happens to be St. Patricks Day so you know it’s going to big! – Enjoy the Parade, Vendors, Live Entertainment and all the tasting, shopping and small-town fun that Murphys has to offer! Want to participate as a vendor? Check here. Spaces fill up quickly so contact us early to reserve your space. Part of a Celtic themed entertainment group, contact us at info@visitmurphys.com to see about performing this year.